(a) The fine and soft under-hair that grows close to the skin of the sheep have wool. (b) White fleece of lamb means the colour of the fleece of lamb is white. The natural fleece of sheep and goats is black, brown or white. 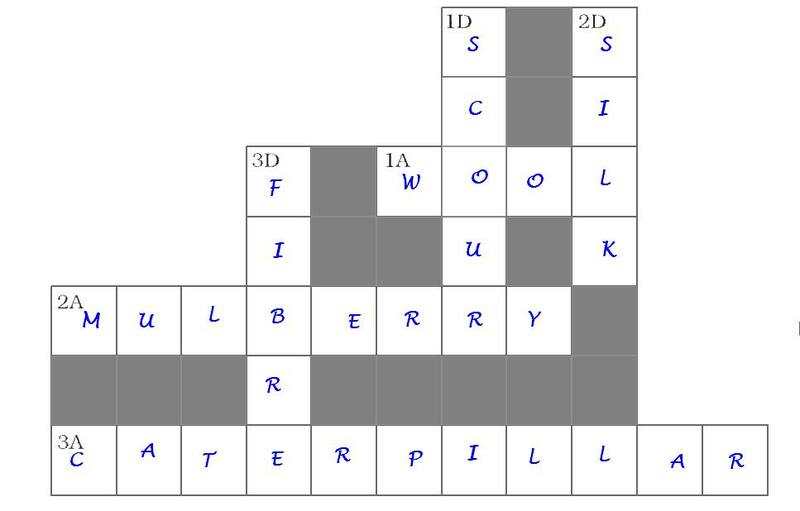 Q2: The silkworm is (a) a caterpillar, (b) a larva. Choose the correct option. 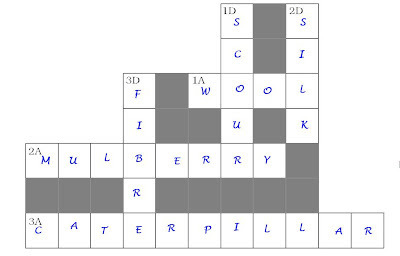 (iv) neither a nor b.
Q3: Which of the following does not yield wool? Q4: What is meant by the following terms? (i) Rearing: It is raising and taking care of live stock (e.g. cows, buffaloes, goats etc.) for commercial purposes. These animals are fed, provided shelters and are bred for better yield like milk, meat, wool etc. For example, Sheep are reared mainly for the wool. They are mainly reared in areas with low rainfall. Reared sheep eat grass and leaves. They are also fed on a mixture of pulses, corn, jowar, oil cakes and minerals. In winters they are kept indoors and fed on dry fodder, leaves and grains. (ii) Shearing: Once a sheep develops a thick coat of hair, it is shaved off to obtain wool. The process of cutting off the woolen fleece of sheep with a thin layer of skin is called shearing. It is done by the machines similar to those used by barbers to remove hairs. (iii) Sericulture: The breeding and management of silk worms for the production of silk is known as sericulture. Different types of silk(e.g. mulberry silk, Tassar silk etc.) with different textures are obtained from different varieties of silk moths. Q5: Given below is a sequence of steps in the processing of wool. 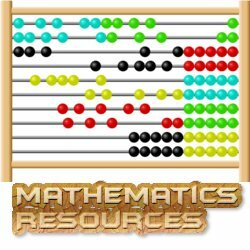 Which are the missing steps? Add them. Shearing, __________, sorting, __________, __________. Q6: Make sketches of the two stages in the life history of the silk moth which are directly related to the production of silk. 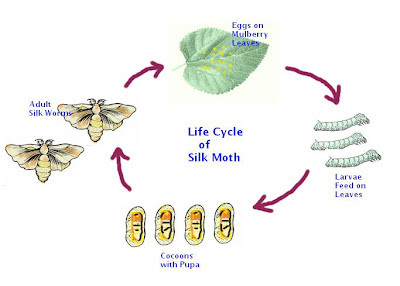 Answer: Life Cycle of Silk Worm. Q7: Out of the following, which are the two terms related to silk production? Q9: Given below is a crossword puzzle based on this lesson. 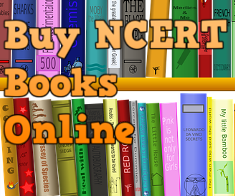 Use hints to fill in the blank spaces with letters that complete the words. Q10: Where Angora goats are found in India? Answer: Angora goats are found in hilly regions such as Jammu and Kashmir. 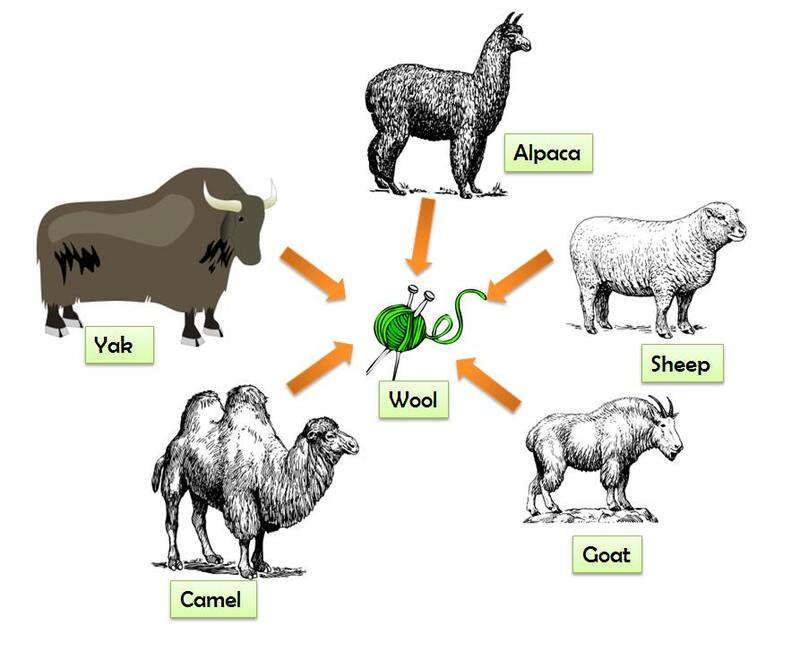 Q11: From which animal the wool is obtained for Pashmina Shawls. Name the region where this animal is found. Answer: Kashmiri Pashmina goat is found in Kashmir, Laddakh and Nepal. The under fur of Kasmiri goat gives wool for fine Pashmina Shawls. Q12: What is bioclip? How it is different from shearing? Answer: Bioclip is a new method invented by Australian Scientists. It is chemical method of shearing. In bioclip, a protein made chemical is injected to Sheep which causes its fleece to drop off on its own. It saves time and effort as compared to traditional shearing which is labour as well as time intensive. Q13: Why shearing is done in early summers? Answer: Sheep are usually found in hilly and cold region. Shearing is done in summers i.e. during hot weather because sheep can survive without their protective coat of hair. 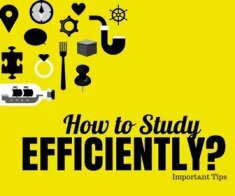 Q14: How shearing is helpful to sheep? Answer: Shearing is generally done for commercial purposes. In addition it also helps the sheep. If a sheep is left with shearing, the wool will grow, becomes heavy, soiled and unhealthy for the sheep. Usually sheep are sheared once a year. Q15: Why do wool yielding animals have a thick coat of hair? Answer: Wool yielding animals are found in hilly and cold regions. The Hair of these animals (sheep, goat etc.) trap a lot of air. Air is a poor conductor of heat and keeps these animals warm during winter. Answer: The process of selecting parents in order to obtain desirable characteristics in their offspring is called Selective Breeding.